A behind the scenes video of my paintings by Huffington Post Blogger Eric Minh Swenson. 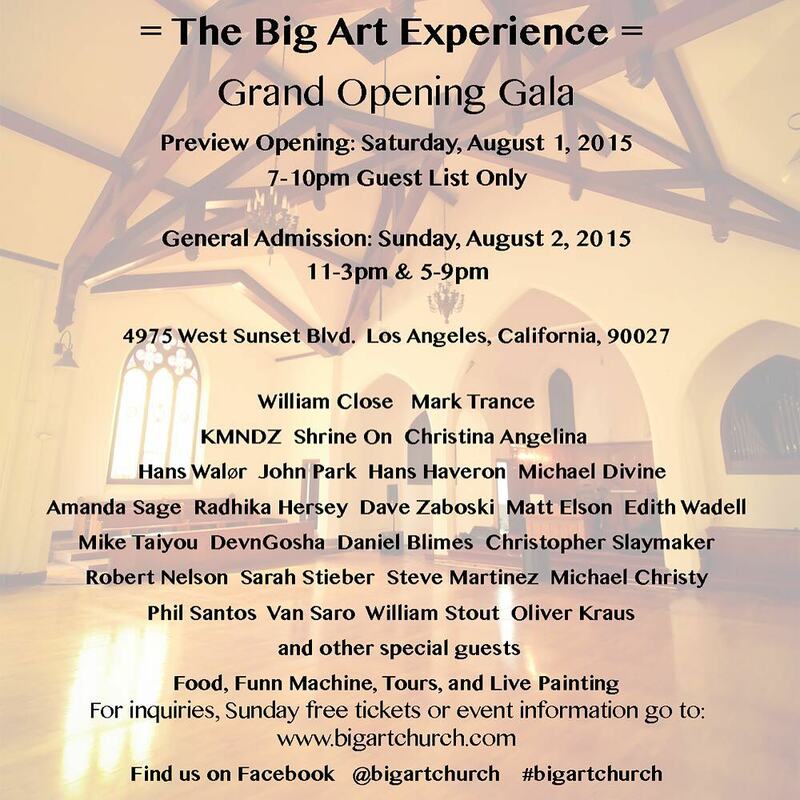 Big Art Church‘s Grand Opening Gala is this Sunday, August 2nd, in Hollywood! Free Tickets HERE. Come check out my new art studio and newest 9.5′ #ElectricRainProject Painting August 8th! NTC Liberty Station Artwalk August 15th-16th with Adelman Fine Art! Booth # 700 and 701! Huffington Posts writer and filmmaker Eric Swenson visited my art studio and made this rad video of my painting process!! Enjoy! This Sunday, August 2nd, is the Big Art Church’s Grand Opening Reception in Hollywood! Make sure to grab your free tickets HERE. 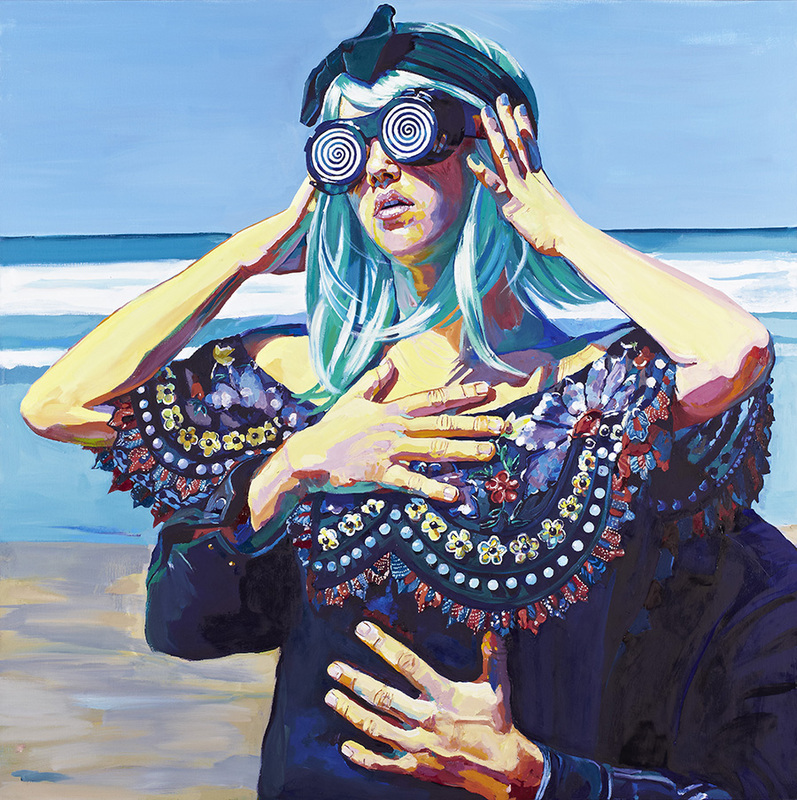 Two of my very favorite paintings, “Fierce”, and “My Love Song”, both 48″ x 48″, Oil on Canvas, will be featured in this awesome group show! 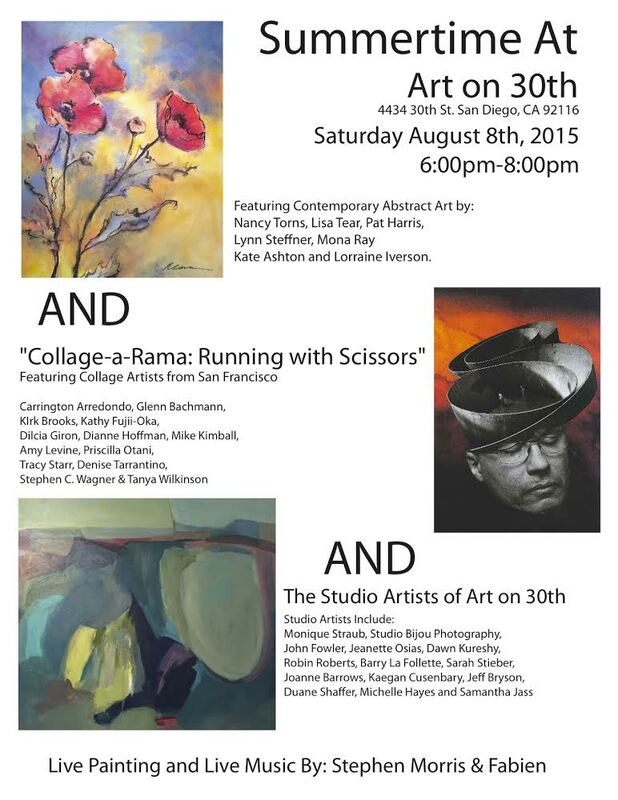 Please Join me at Art on 30th Saturday August 8th from 6pm – 8pm. There will be refreshments and a group show in the gallery downstairs, and open studios upstairs! Looking forward to showing you my new art studio and in-progress paintings! Please join me and Adelman Fine Art at NTC Artwalk at Liberty Station August 15th – 16th, booths # 700 and 701! More info on the art-walk and the fabulous artist’s showing HERE. 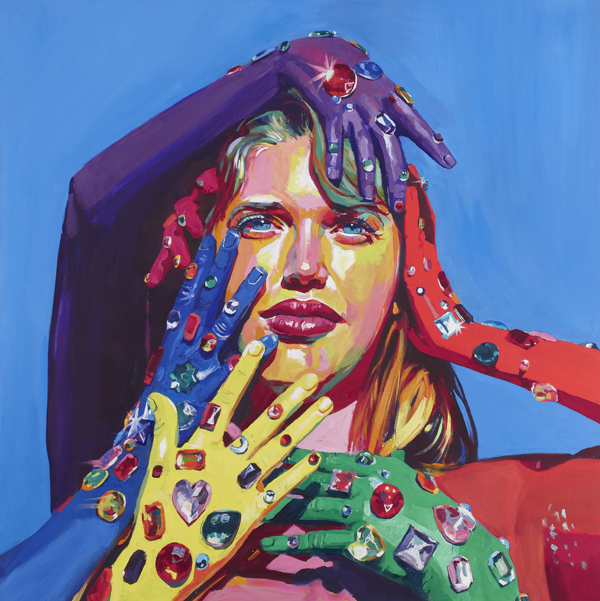 Adelman has curated their gorgeous Little Italy Gallery with a new collection of my work! Visit their boutique gallery! “Long Hair Don’t Care” was the featured image of last Saturday’s “Art Life” at Gibson Gallery in Santa Monica, and I’m thrilled that it sold! Hope to see you at my new North Park art studio August 8th to see the most ambitious #ElectricRainProject painting in progress!